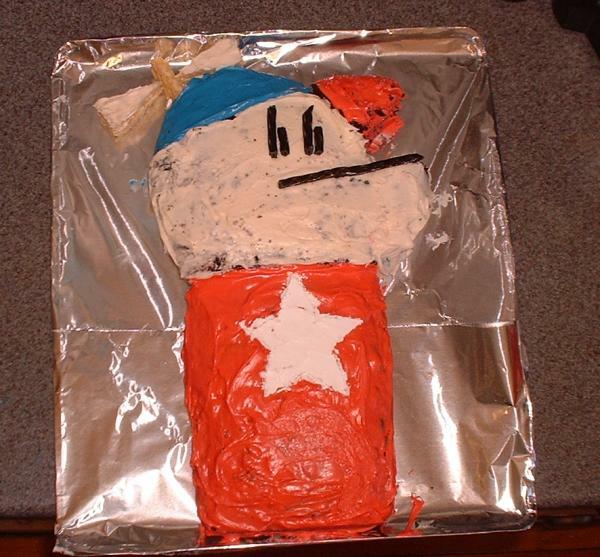 For those of you who missed it back in October, we also had a Homestar pumpkin for Halloween. When we went to Disney, Matt wore his Trogdor T-shirt. Every once in awhile, while the the attendants were buckling him into a ride, some of them looked at the shirt and screamed, "Trooooooooogggdor!" It was classic, they all said it in the exact same way.